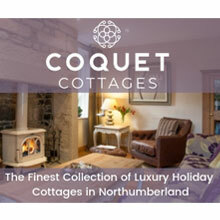 Wood burning stoves, hand crafted beds with duck down duvets, majestic candle light. Facilities heated by air source and under floor heating. Beautiful hampers full of local produce and handmade products. 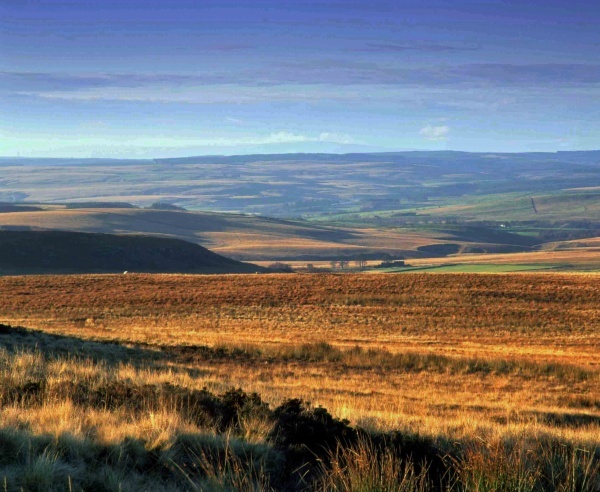 From one night romantic breaks and special occasions to week long family holidays, this is wild camping with more than a touch of luxury. 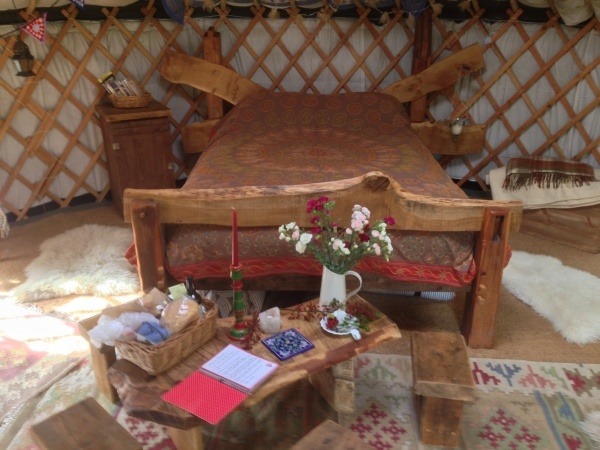 Each Yurt, Tipi and the Shepherds Hut set in its own unique location all on its own in the 25 acre site. Bespoke workhops and activities too. 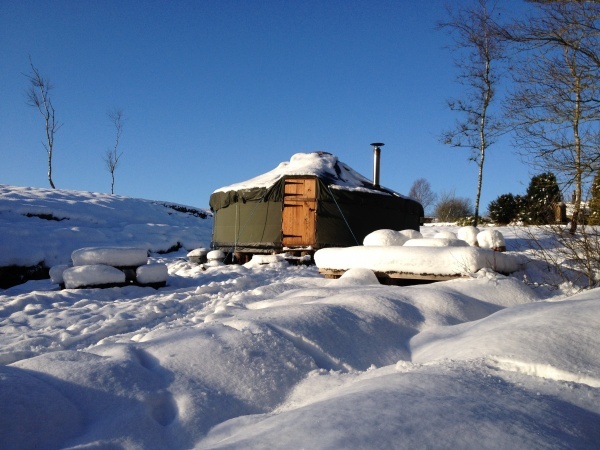 Wild Northumbrian Yurts are hand crafted, bespoke structures, fully insulated for all weathers. Adapted for this climate they offer a window to the stars and changing seasons. A closeness to nature, yet with a wonderfully luxurious feel. 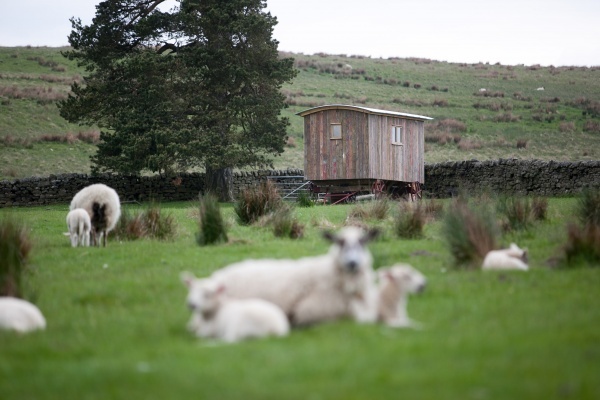 They have wonderful local reclaimed furniture and organic, fairtrade rugs and sheepskins. All the touches you would expect to make your stay magical. 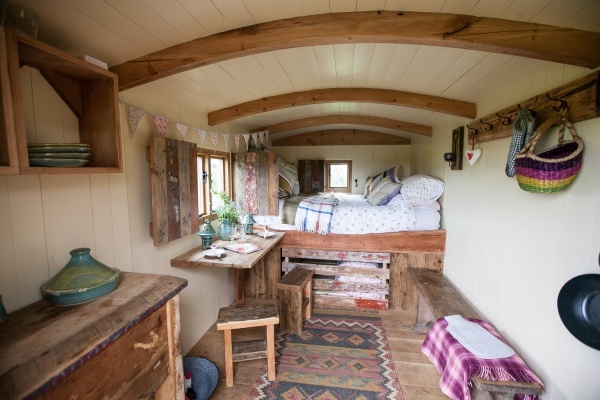 For sleeping… hand crafted, reclaimed wood king size double beds, and luxurious organic camping beds from recycled materials. Lanterns with candles and a torch! Cosy and warm all year round ! All you need to do is bring your duvets/sleeping bags and pillowcases and towels. Bring your binoculars for the Buzzards!! Wellies too.. This is wild camping in style. Tipis are ancient structures which are very much a "hands on " experience..or those who are "wild at heart..." . 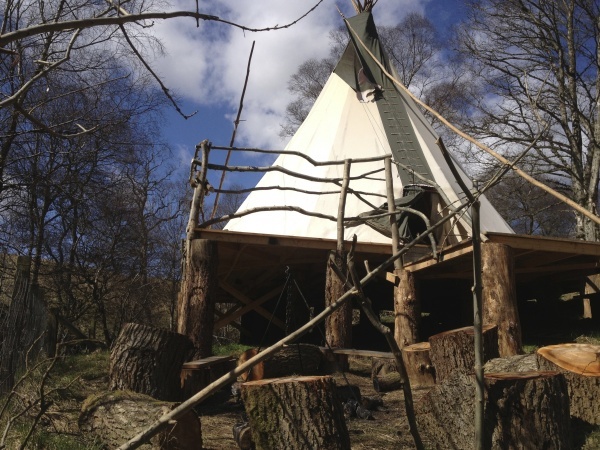 Both Brock and Tod Tipis have been totally revamped for 2013 with sanded larch floors. 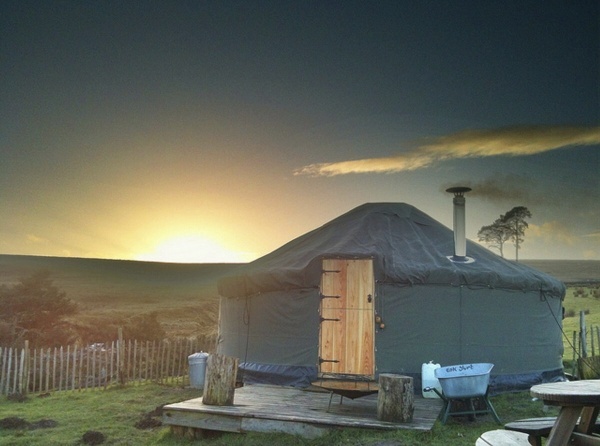 Tod Tipi has a wonderful new site overlooking the Tarset valley. New for 2014 !! 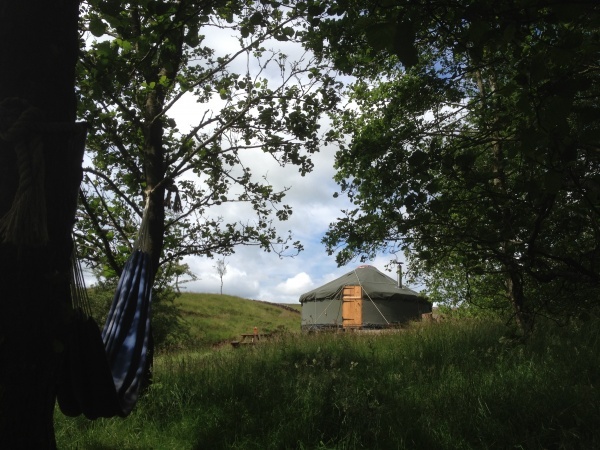 A brilliant eco compost toilet by the Tipis and camping showers available. 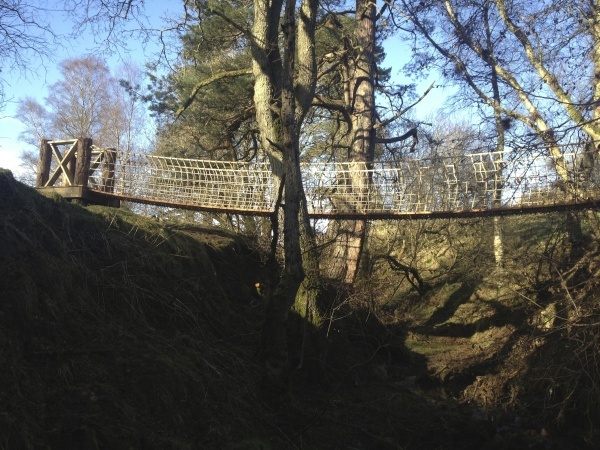 A fabulous rope swing bridge to get from Merle and Houlet Yurt over a our deep little burn. New for 2013! Bring your horse! With livery close by and a 9 acre meadow on site.